Klintsy [Klincy] (Ukrainian: Klyntsi). Map: I-13. City (2002 pop 67,325) under oblast jurisdiction and a raion center in Briansk oblast, Russian Fedration. It was founded in the early 18th century on mixed Ukrainian-Russian territory, and under the Hetman state (1663–1781) it was on the territory of the Starodub regiment. 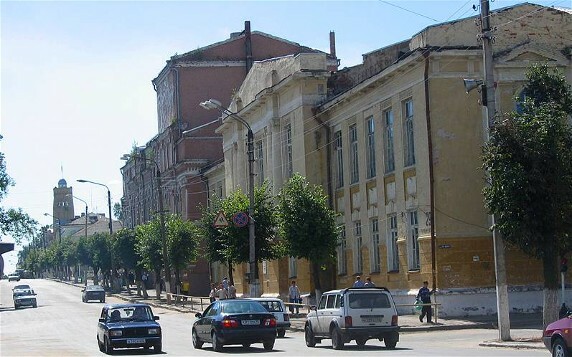 From 1802 to 1917 it was a major manufacturing center in Chernihiv gubernia, producing woolens, linen, sheepskin, boots, cast iron, and bricks.